Possibly it was the altitude. Maybe it was something he ate. Perhaps it was the drinks. More likely it was vintage Jerry Keuper at his eccentric best. Whatever the cause, in the fall of 1972 on a flight between Colombia to Florida, Jerry Keuper hatched one of his zaniest schemes. He decided to launch a quail hatchery at Florida Institute of Technology. The trip itself had had nothing to do with quail eggs. Florida’s Secretary of State and FIT trustee Tom Adams had invited Keuper and John Miller to accompany him on a series of ambassadorial missions to South America. In the early 1960s, Adams, to the consternation of the U.S. State Department, had forged an international agreement between the state of Florida and the Republic of Colombia. Adams idea was to establish business and academic contacts between South America and Florida. Colombia was his beginning point. FIT would provide the academic connection. That is how Jerry Keuper and John Miller found themselves on a plane coming home from South America. That was the beginning of the “Great Quail Escapade.” Keuper’s fascination “with this bite size hors d’ourves that could be eaten with a toothpick” grew in the following weeks. Back in Melbourne, Keuper threw himself into hammering out a plan. Florida Institute of Technology would form a subsidiary called FIT Farms, Inc. to produce the quail eggs. The suitcase eggs which he had brought back would form the brood’s nucleus. Other hens would be added as needed. An old carpenter’s shed near what is now the Harris Student Design Center was retrofitted into a quail roost. This would serve as the hatchery. Hank Hughes and Bill Jurgens recall the flurry of activity surrounding the hens’ arrival on campus. Keuper informed a somewhat surprised Mr. and Mrs. Green, the campus cafeteria’s managers, that they had the added responsibility of taking care of the birds. In a pinch, Melanie Keuper was charged with stepping in and feeding the brood. By early December, 300 FIT quails were “laying like mad at the campus hatchery.” Keuper was overjoyed. “The incubation period for the eggs,” the one time RCA rocket scientist explained to a reporter, “is only 14 days. The infant birds emerge fully feathered and come out of their shells fighting and hungry. In only five weeks they are fully matured.” Keuper envisioned Florida Institute of Technology’s national reputation soaring on the wings of the quail project. 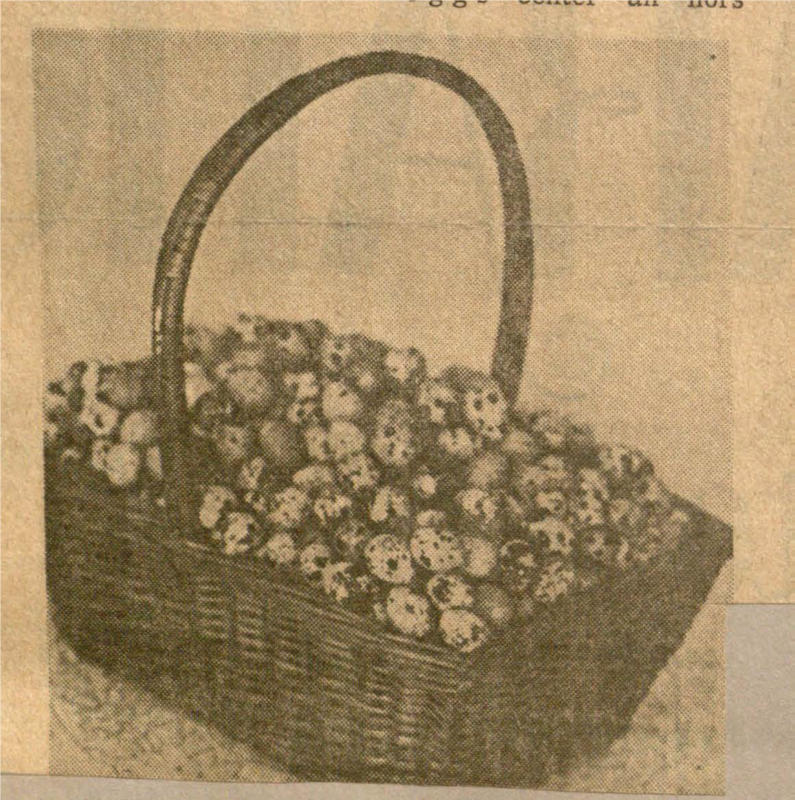 FIT Farms, Inc. was ready to begin distribution in time for the 1972 holiday season. Dorothy Chapman, the Brevard Sentinel’s food editor, described FIT Farms’ quail eggs as a “smash hit” on Melbourne’s cocktail party circuit. 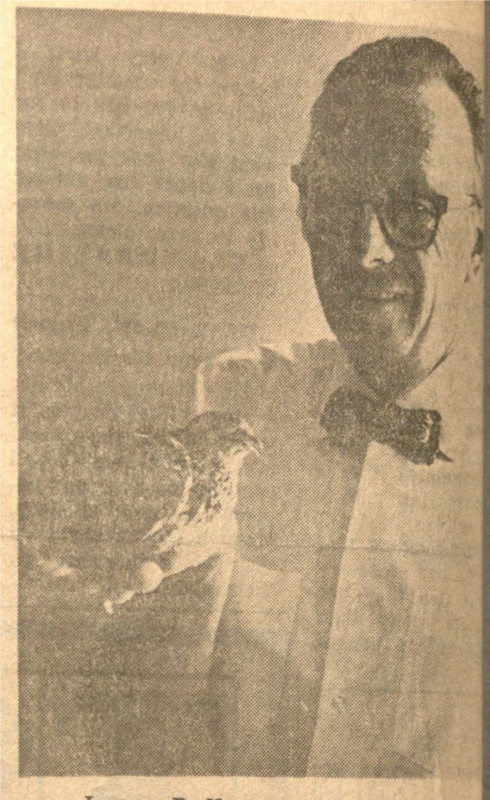 “Keuper claims,” Chapman reported, “the bitty quail probably holds the world’s poultry records in all departments. The hen will lay an average of 300 eggs a year, almost one a day throughout the year. And,” Keuper added, “it lays the largest egg in relation to its body weight.” Readers were advised that “fresh, mature eggs are being sold at four cents apiece while supplies last” at the campus hatchery. The quail scheme, however, was not destined for success. Production was not a problem. Marketing was a different matter. Despite FIT Farms, Inc.’s best efforts only a handful of local supermarket managers expressed interest in marketing the speckled product. Keuper was saddened. It had seemed like such a good idea. Not everyone shared his disappointment. Melanie, Keuper’s eighteen year old daughter, was working in the college bookstore when her father drafted her into the quail project. “It was” Melanie Keuper recalls, “a disaster!” Her job was to hard boil the eggs, shell them, and make deviled eggs. It was a time consuming, labor intensive work. Forty years later she still does not eat eggs. FIT’s faculty and staff were the principal beneficiaries of the prolific quails. For a short time Florida Institute of Technology had the distinction of being the only university that served hard boiled quail eggs at university events. Gordon Patterson is a specialist in environmental history and the history of science and technology. Professor Patterson is widely regarded as Florida Tech’s historian and his book, “Florida Institute of Technology,” published in 2000, showcases the schools’ extraordinary history.